November turned out to be a quite stormy month for the first half, with conditions improving around Thanksgiving and into that weekend. The bull redfish run was phenomenal, with the big bulls prowling the surf for miles and miles at many times. Baits varied from day to day, and while some struck out, those with the right tactics caught excellent catches of fish. Sunrise after camping overnight through thunderstorms and rainshowers. Morning shell hunting with our beautiful daughter after a night's camping. 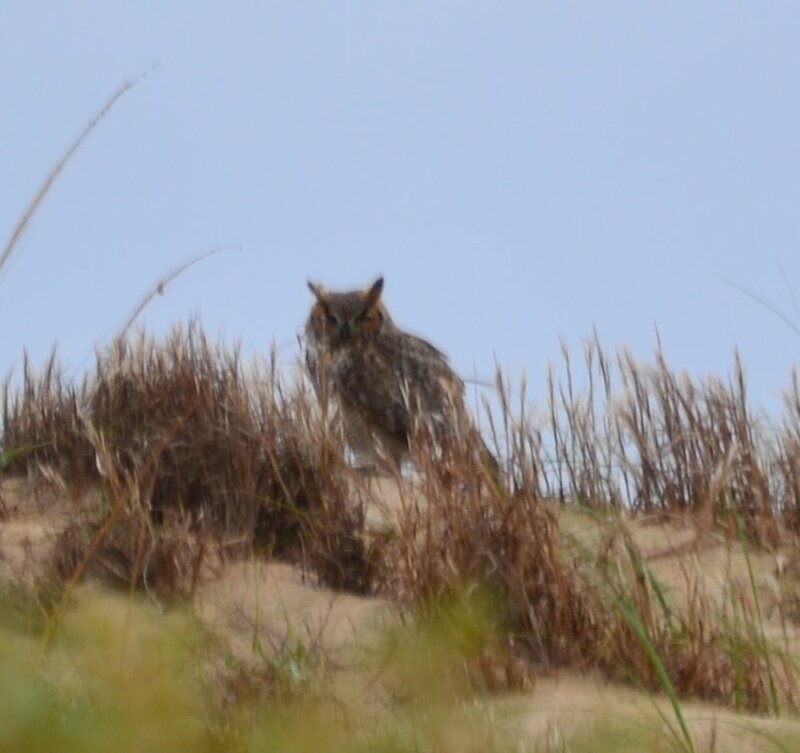 Great horned owl on migration though Padre, part of the Hawk and Falcon migration. November high perigean spring tides caushing nuisance flooding. Heath with a nice bull red. Bull reds into the night. A full spread of shark baits out from far to nearshore on a day trip for shark. The Hicks family on a daytime shark charter. Shark rod rebuilds-old to new.